Check out 2 minutes with Roger Bezanis and see why you should get your very own copy of pH Madness. The little book everyone’s talking about. Get yours here. Professional herbalist, Shonda Parker, teaches mothers what can be safely treated at home, how to treat with nutritional and botanical medicine, and when to seek professional help. Shonda Parker is one of the many professionals that have recommended Pure Body Institute’s own Whole Body Program and Colon Program. Get your 3 month supply today! 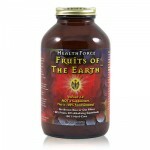 Fruits of The Earth is a high antioxidant, potent combination of natures most nutritive fruits from around the world. 100% organically grown and dried at low temperatures to preserve heat sensitive elements. Great addition to a smoothie. Or add to sparkling water with crushed ice. Here Jameth Sheridan, N.D., explains the benefits of this unique blend of fruits from around the world. Watch this video to learn why Antioxidant Extreme should be included in your diet. Dr. Sheridan explains what you’ll find in this superb blend of natural ingredients. Made from whole food extracts, with absolutely no isolated or synthetic vitamins or minerals. Jameth Sheridan, N.D., on Antioxidant Extreme. 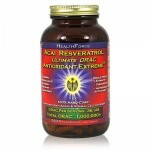 Get your bottle of Antioxidant Extreme here. Watch this video to learn why Spirulina should be an important part of your diet. Jameth Sheridan, N.D., founder of HealthForce Nutritionals, explains what’s good about Spirulina. 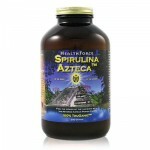 500g jar of Spirulina Azteca. Get yours today. Liver Balance Plus (120 and 240) is known as the fastest acting formula ever produced: Liver Balance Plus from Pure Body Institute. Volume discount prices. Cayenne – What’s it good for? Originally from South America, cayenne is now used world wide, both as a culinary spice and medicinally. For centuries Capsicum annuum, (cayenne pepper), and other medicinal herbs containing capsaicin, have been used to treat problems stemming from the gastrointestinal tract and stomach. It has often been used to improve circulation; reduce pain, itching, headaches; and to lower blood cholesterol. Cayenne can be used in several ways. It can be used as a topical creme, tincture for pain spots, gargle for sore throat, tablet and capsule for internal issues. When using cremes and tinctures take care to protect your eyes, mouth, cuts and other sensitive areas. Consuming too much cayenne can have an adverse effect on the stomach. Cayenne is also used in aiding with body detoxification with a diet known as The Master Cleanse. The Master Cleanse is an intensive detox that can bring big changes to your life. It may be worth looking into. If you have any of the above symptoms, check with your herbalist and try including cayenne in your diet. Give it a try. Spice up your life! Have you ever exhaled on a mirror and noticed the temporary fog you created. The moisture is the result of the millions of tiny droplets of water that are carried out of our lungs in every breath. Air is actually a form or water as water makes up its content. Today there exists, water extraction machines that pull water from the air. As water becomes scarcer, the use of these water collection machines will be more common. With regard to the body, every breath dehydrates us a little more. During sleep we might as well be running a marathon as we dry out immensely. This is why after a night’s sleep we awake and pasty. You have been dehydrating breath by breath all night! We truly might as well have been running a marathon. Sometime in the past someone said, “The AVERAGE person exhales anywhere from 48 to 64 ounces of water a day (about 1 to 1 1/3rd liters) just breathing.” That statement is almost wholly inaccurate. Activity: The more active we are physically, the more water we will need. Activity means water lost (indoors or out). If we are busy talking all day, we lose more water. Chasing kids or in some other form of constant motion uses more water. Environment: If we do the same job in an environment that is cool & moist, like Portland, Oregon, compared to a dry hot environment like Las Vegas, Nevada, we will need more water in Las Vegas. Environment is crucial to appreciate when factoring how much water we need. Stress: One stressed by actual emotional stress or who is in constant concentration mode, like an accountant, will need more water as their liver is working harder. Stress releases hormones that must be dealt with by the liver (the washing machine of the body). There is a patently false “old wives tale” known by many that for every cup of coffee, you need 3 cups of water. Hog wash! Consider this; the human body for all intents and purposes is a machine of unfathomable complication. It does have proclivities and slight variations, yet, does react to toxins and reject them. Caffeine is a toxin that we know is harmful to the body. It shuts down the kidneys for hours just like a computer virus shuts down your computer. As for how much water it takes to flush out X amount of caffeine, that is completely unknown. The best rule of thumb via caffeine is to avoid it like the plague. Using caffeine and then trying to repair the damage via water use, is like playing Russian Roulette with a doctor standing nearby who will try to put you back together if you blow out your brains. It is a bad game to play. The above list also means one is toxic. Toxic!!!? Yes, as lack of water causes stagnation in the body. In a stagnant environment we get worse and worse. Therefore, if you follow your symptoms and drink water when you are thirsty and don’t drink it and even drink a little when you are not thirsty, you will be far better off. If you are so inclined, experiment and try drinking 200 ounces of water in a day (or more) and see what happens. I’ve done it. Remember, water is the life blood or oil of the body. The body will not run without it. Eliminate what is causing you to lose fluid (water) and you will feel the difference. All of this is covered in my two books in depth. For more information on water and other subjects, look me up on YouTube. Cinnamon – When I was younger I never knew I was treating my self with herbs that would be beneficial to me: Toasted bread, butter, sugar, and CINNAMON. Cinnamon or Cinnamomum is a great herb to have handy in the kitchen or café. Cinnamon is an Herbal Carminative (eases the discomforts caused by flatulence). Cinnamon and other herbal carminatives such as garlic, dill eucalyptus, peppermint, and many others contain volatile oils. These herbals work on the gut and are helpful with the cardiovascular system, respiratory system, digestive system, urinary system, reproductive system, musculoskeletal system, nervous system, and skin. Garlic, dill, angelica, celery seed, wormwood, caraway, cinnamon, cardamom, eucalyptus, fennel, wintergreen, hops, juniper, motherwort, lemon balm, chamomile, peppermint, parley, aniseed, sage, pennyroyal, thyme, valerian, and ginger.